At Salone del Mobile 2019, e15 presents its latest collaboration with David Chipperfield, the development of trestle table BASIS into a modular desk system. 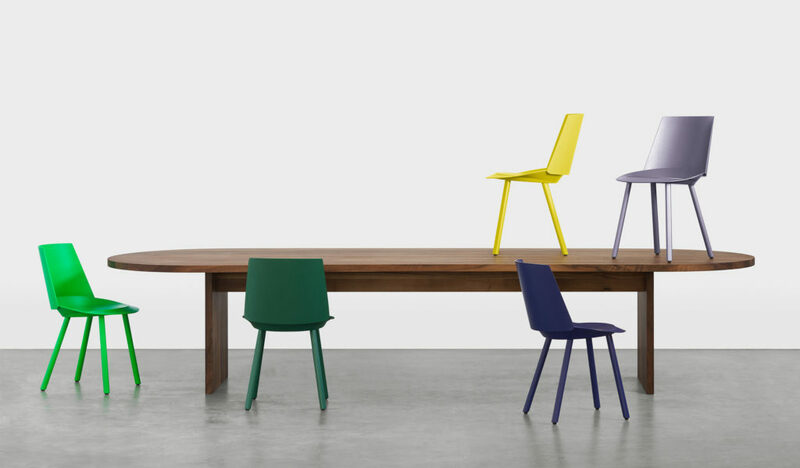 e15 also celebrates ten years of chair HOUDINI by Stefan Diez with a curated palette of anniversary colours by Farah Ebrahimi and the debut of stool MR COLLINS, the new sidekick to the iconic chair, as well as its first oval shaped solid wood table ASHIDA by Philipp Mainzer. 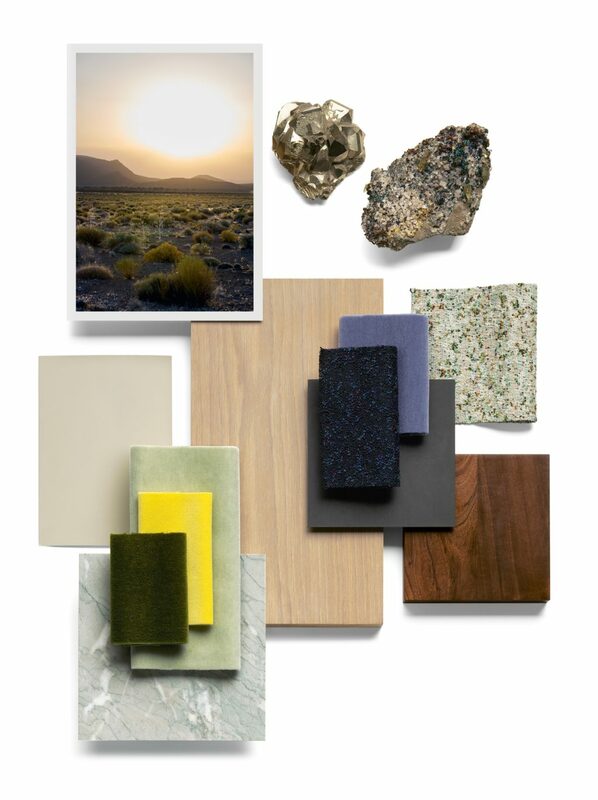 This year e15 is proud to introduce the new Kvadrat / Raf Simons collection in addition to featuring Dinesen floors and Caparol Icons paint alongside its furniture. Sharing the same experimental spirit and global view on quality we look forward to welcoming you to this joint presentation in Milan. e15 continues its collaboration with David Chipperfield with the development of the original trestle table BASIS into a modular desk system. Focusing on the needs of creative and functional work environments, BASIS is a smart and casual desk system stripped back to the essentials whilst featuring the pure use of material and craftsmanship. As a high table it is available with square or round top allowing for various interpretations in private and public spaces. 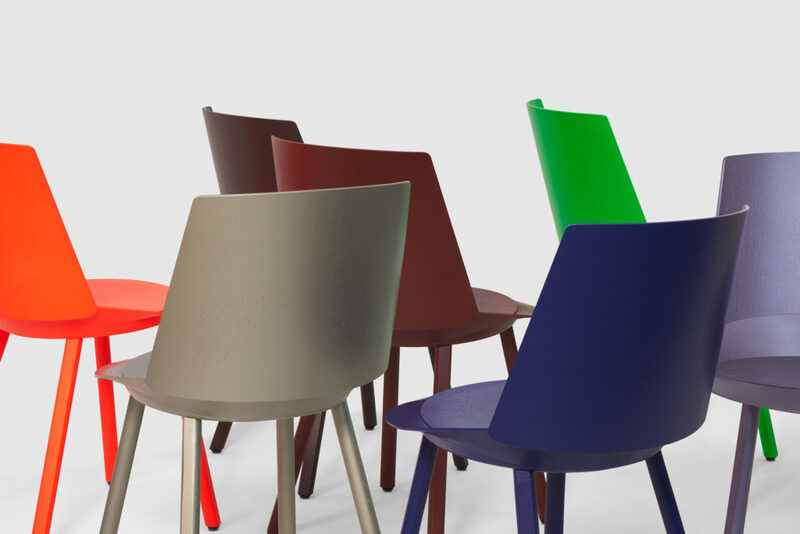 e15 introduces MR COLLINS, the new sidekick to iconic chair HOUDINI by Stefan Diez. 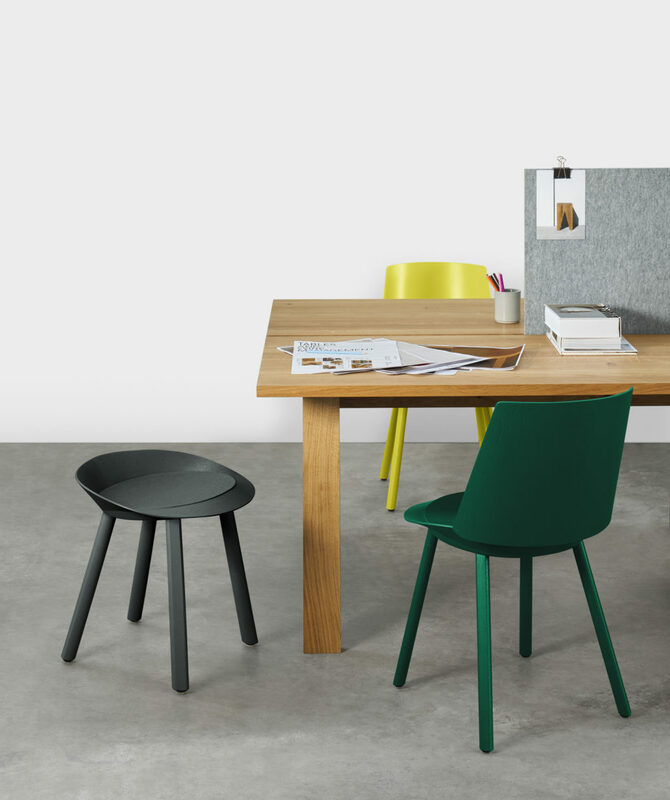 With its dynamic form and ergonomic comfort, stool MR COLLINS is an endearing new sidekick applicable in diverse arrangements for living or working situations. The versatile stool is also an ideal way for quick meetings in combination with chair HOUDINI, serving as casual seating furniture facilitating collaboration or ad hoc meetings. Based on couture construction methods and organic shapes, the silhouette of MR COLLINS is informed by the original lines of chair HOUDINI. 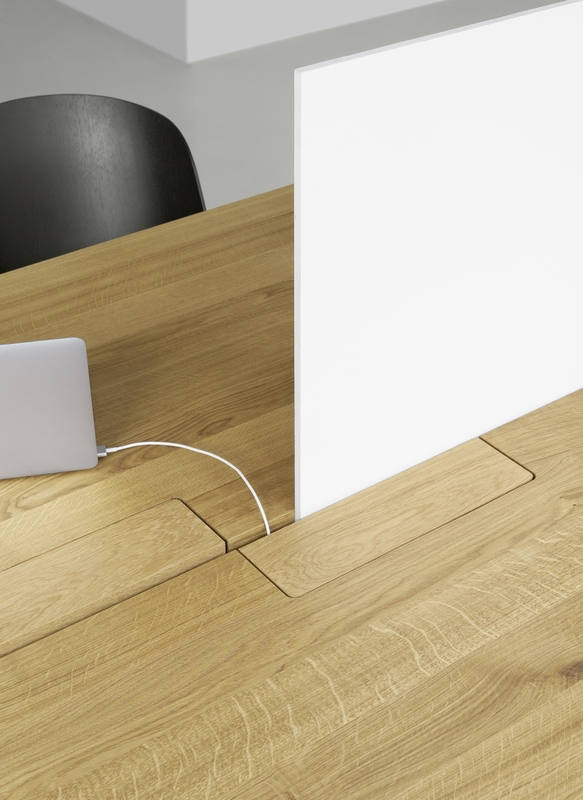 The classic e15 table ASHIDA by Philipp Mainzer is scalable and adaptable to any required situation. Offering a modern view on elegance, e15 showcases its first oval shaped solid wood table. With a streamlined form ASHIDA emphasises e15’s philosophy of refined simplicity and pure use of materials for its tables. Suitable for dining or conference, its balanced proportions highlight the natural beauty and strength of solid wood. 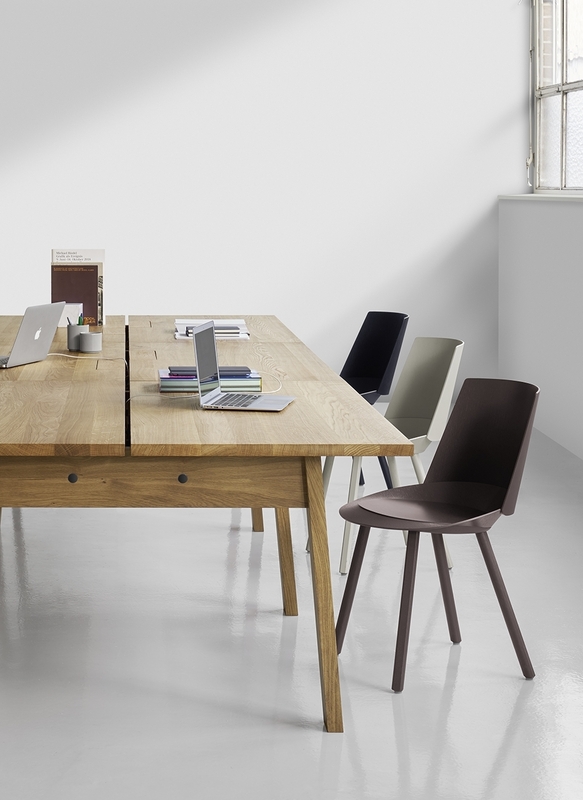 Available in European walnut and oak in oiled or white pigmented surfaces, ASHIDA is also well suited as a conference table with individual wire management solutions. Inspired by the contemporary values of Bauhaus, e15 is staged in an informal and elegant presentation. Consistent with e15’s simple and powerful presentation style, the stand design at Salone del Mobile 2019 by Philipp Mainzer is inspired by the clarity of forms and the use of refined materials. The e15 space is architecturally arranged into living and working areas, where distinct and expressive oak floorboards by Dinesen unify the interlocking rooms whilst providing a natural foundation for the collection. Tall curving walls painted in colour Lullaby, a soft grey sand tone from Caparol Icons, balance the composition of forms, colours and materials with e15 furniture, Kvadrat /Raf Simons textiles and Dinesen floors. Material collage Astral edited by Farah Ebrahimi.